Meteorite fell near a small town in northern Latvia on Sunday, local Latvian media reported. According to media reports, the meteorite fell near a residential house on the outskirts of Mazsalaca town in the Valmiera district of Latvia, leaving a crater of some 20 meters (66 feet) in diameter and 10 meters (33 feet) deep. A spokesperson for the Latvian State Fire and Rescue Service said that rescuers and soldiers immediately cordoned off the territory, however, it is still not clear whether it was an asteroid or a space satellite. “The territory has been immediately cordoned off as we still do not know what fell down from the sky. According to preliminary information, it was a meteorite. However, it is possible that it was a [space] satellite or its fragment. A radioactive contamination is also possible,” she said. A witness, who saw the object falling from the sky and leaving a burning trace behind, said it was making a noise similar to the one of an aircraft flying at a low altitude. On March 2 this year, a 35-meter asteroid came within 72,000 kilometers of Earth. The size of the space rock was comparable to the asteroid that caused the Tunguska disaster, but there was no danger of a collision. On June 30, 1908, an explosion equivalent to between 5 and 30 megatons of TNT occurred near the Podkamennaya Tunguska River in a remote region of Russia’s Siberia. 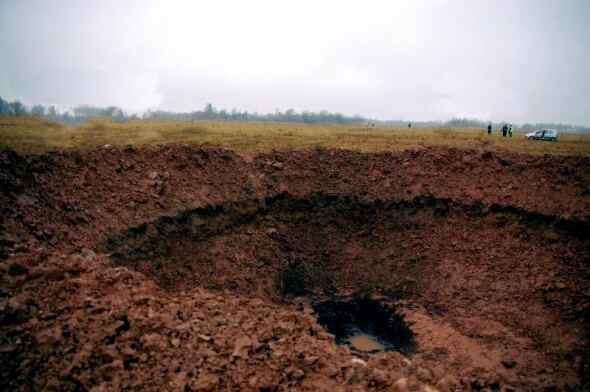 Fake crater – A mobile phone company in Latvia was slammed for staging a ‘meteorite crash’. Tele2 said the stunt was designed to give people something ‘creative and exciting’ to talk about. But the Latvian government was not amused and said it would cut its contract with the company in protest. Tele2 has promised to reimburse the nation for the cost of sending military units and scientists to investigate the ten-metre-wide crater. The initial attacks on Tele2 were premature, but considering this scam emerged last week and we are still waiting for the ‘pay off’ and some genuine brand saliency, I have lost my patience. I admire the audacity of the physical stunt, but the knee-jerk defence that it was to distract attention from the country’s economic crisis is like saying The X Factor duo John and Edward are palatable because the weather has been bad. I guess ‘special’ communication will be the roundabout justification when it comes, but it will be pretty weak in a telecoms sector where we have come to expect great things above and below the line. A salutary lesson that for every successful stunt we praise, dozens end up lying in a pitiful crater somewhere. 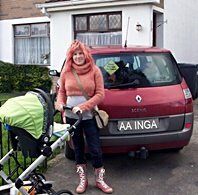 Previous Previous post: Comic book and costume to crisis. Next Next post: Chance for women under 55 in survival ! I consider this meteorite is a fake. Sorry ! Fake moment ! Fake video ! This is not meteorite. 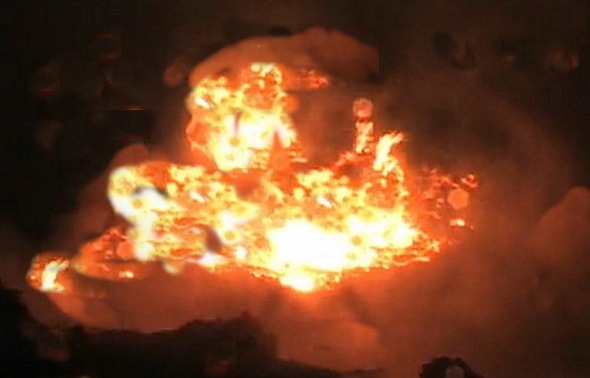 This is chemical combustion. From initial reports about 20 meters wide and some 15 meters deep crater, now its reduced to some 3 meters deep and less than 15 meters wide. “It’s artificial, dug by shovel,” said Girts Stinkulis, a geologist at the University of Latvia. 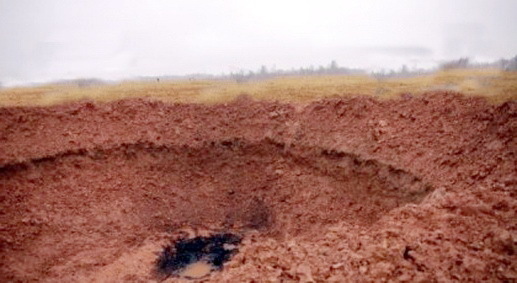 Dainis Ozols, a nature conservationist, said he believes someone dug the hole and tried to make it look like a meteorite crater by burning some pyrotechnic compound at the bottom. He added he would analyze some samples taken from the site.